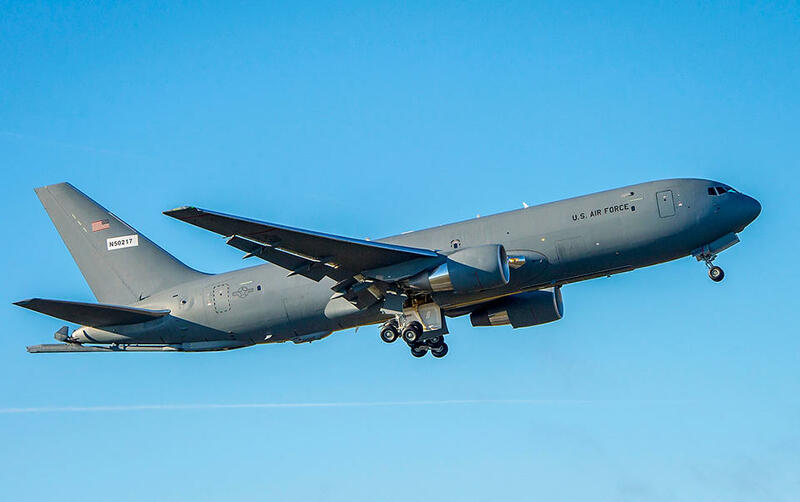 Boeing's KC-46 refueling tanker received its final certification from the Federal Aviation Administration after nearly three years of testing. McConnell will receive 36 of the 179 tankers being produced for the U.S. Air Force. Delivery was originally set for March 2017, but problems with a refueling system delayed the certification process. Boeing started testing the KC-46 tanker program for FAA certification in 2015. Aircraft used in the testing completed 3,500 flight hours and offloaded more than 3 million pounds of fuel. The refueling boom on the KC-46 is capable of transferring up to 1,200 gallons of fuel per minute. The U.S. Air Force still needs to grant military certification to the aircraft before it’s officially ready for duty. That’s expected to happen in the next couple months. McConnell was the first active Air Force base designated to receive the KC-46. The base will eventually be home to 36 of the new tankers, replacing a fleet of KC-135s that were manufactured about 60 years ago. Ascha Lee is an Engagement Assistant at KMUW and an intern in the KMUW News Lab. Follow her on Twitter @aschalee.